Join Nanoscience Instruments at an upcoming Thermo Scientific Spectroscopic Solutions Seminar in either Dallas (April 30th) or Houston (May 2nd). The free seminars are focused on making your lab more effective (see Agendas below). 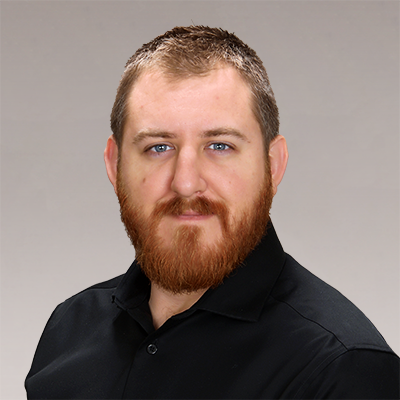 Nanoscience Instruments’ local Account Manager, Drew Robertson, will be on-site demonstrating the efficient workflow, superior imaging, and ease of use of the Phenom XL desktop scanning electron microscope. Learn why FTIR, Raman and NIR have grown to become essential techniques throughout the manufacturing workflow; from R&D to QA/QC. See examples of how spectroscopy is used behind the headlines in applications such as environmental microplastics and the opioid crisis. Get practical advice on selecting the best technique and sampling device for your situation. Spectroscopy requires minimal sample preparation or reagents, making it ideal in the QC lab. See examples of how spectroscopy has replaced wet-chemical techniques thereby reducing cost and supporting green chemistry. Learn how the latest software tools assist in complying with FDA regulations in a cGxP environment. See how to build and deploy a simple analytical workflow. Watch a live demonstration showcasing the very latest in hardware and software. The Cloud is revolutionizing how we store, share and analyze data. Learn how Thermo Fisher is leveraging Cloud technology to help scientists connect and collaborate, without being chained to the lab bench. Learn how collecting data across multiple spectral ranges, including FT-Raman can be used to build up the full picture of your sample. Get practical tips on how to get the best from your system and interpret the data it produces. See a live demonstration of a multi-range system in action. Learn how easy it is to obtain data from multiple spectral ranges. The root-cause of product failures frequently starts at the micro-scale. From simple point-and-shoot analysis to sophisticated imaging, Raman and FTIR microscopy provide insight into chemistry at the microscale. Get practical tips on sample preparation and see how microscopy can solve problems with your smallest samples. Products: Scanning Electron Microscopes, Nanoindenters, Electrospinning Equipment, QCM-D, Contact Angle Meters, Optical Profilers and Atomic Force Microscopes. Applications: Read Application notes in various industries such as Automotive, Medical and Materials Science. Techniques: Informative articles about the technology of our products.